Great quick delivery. I took it to Skuzzle Motorsport to get fitted and remapped, just as well as fitting these things are not as straight forward as I thought as there is not much space to manoeuvre it about. My only downside with it was the crappy spot welding of the bolts on the bracket at the bottom of the manifold which broke so the bolts span round when doing the nuts up. Back on the plus though, it sounds great and feels so much more responsive to drive. Great quick delivery. I took it to Skuzzle Motorsport to get fitted and remapped, just as well as fitting these things are not as straight forward as .. This arrived exactly on time (per normal with MX5 parts order / delivery service). 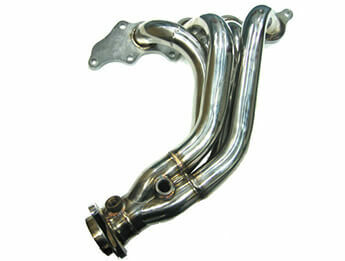 It is a high quality piece of kit, very well made and finished. A..
A beautiful piece of stainless steel engineering. IL Motorsports don't state which of the bungs to use for the O2 sensor, and - when asked - simply su..
Lovely bit kit, very impressed. Very nice design, welding and finish. Took me 2 hours 20 minutes to fit with a ramp and ample tools, once it was on I ..
Yep, its good alright. Better than the racing beat im happy to say, and yes i have seen both in the flesh. First off i have a decat midpipe and the mx.. I just wanted to add a note to say my MX5 passed its MoT fine with only the second cat futted. Emissiins were fine,so don't worry about it being non-c..
What a lovely piece of kit. It's not often you shell out £300 on a bit for your car and you feel loathed to fit it because it's so well made! Fant..
Fitted the Header today 23rd April 2008. THIS IS NOT A DIY JOB FOLKS YOU NEED ACCESS TO A HIGH LIFT RAMP AND IT TAKES ABOUT 5 HOURS TO REMOVE AND REPL..
What a fantastic piece of kit this. 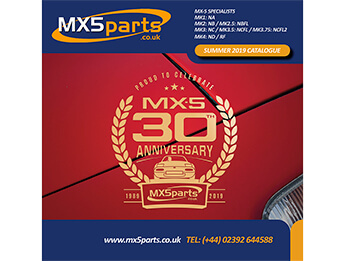 What fantastic service from Mx5 parts. It arrived next morning well wrapped on a sturdy brown box. You need to ..
Veramente stupendi! il suono poi è fantastico se abbinato ad un terminale! Provvedete a trovare una prolunga perchè i fili per i sensori di O2 sono m..